Christie’s latest auction in Hong Kong took place on May 30, 2012 and featured a large amount of watches from the usual luxury brands. But what caught everybody’s eye was an unprecedented selection of the Harry Winston Opus line watches, including watches from Opus 1 through Opus 7 and Opus 9. The Opus line was a creative idea from Max Busser, who ran the brand in 2004-2005, and it has almost become an annual tradition. 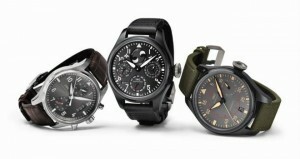 The notion behind the idea is to have a distinctive watch created every year via a collaborative partnership between the brand and a talented independent watchmaker. The Opus 6 was the star of the night with a final price of $375,313, followed by the Opus 5, which was auctioned for $204,514. The Opus 3 came in third place, being auctioned for $173,448. The Opus watches that failed to find a buyer during the auction were the Opus 1 and the Opus 4, which were created in collaboration with F.O. Journe and Christophe Claret respectively. The Opus 6 – The Opus 6 is a truly beautiful timepiece created in collaboration with Greubel Forsey. It includes a double tourbillon with a hidden gear set, making it appear as if it was separated from the mechanics of the watch. Independent co-axial sub-dials differentiate the hours and minute displays from the seconds, allowing more free space in the 44mm white gold case to show off the beautiful tourbillon movement. With a Limited Edition of six units, this was, as mentioned, the star of the night. The Opus 5 – It was introduced during the BaselWorld Fair of 2005, and was created with the collaboration of Urwerk’s Felix Baumgartner. It includes a rotating satellite hour and a retrograde minute display. 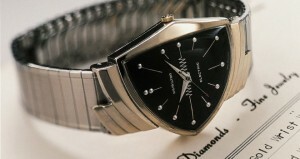 The auctioned watch was a 2009 diamond-clad example of the Opus 5. The Opus 3 – The Opus 3 is the strangest looking Opus watch. It was created in collaboration with Vianney Halter and features six porthole displays. Each display has its own jumping indicator to show the hour, minutes, and date. 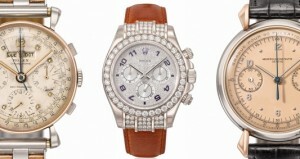 It is a Limited Edition of 55 units in platinum or rose gold. The Opus 3 was delivered in 2011, 7 years after the 2003 concept creation. The total amount resulting from the auction was around $21.5 million in sales, but remember that the Opus watches were just a few of the large amount of watches offered at the auction.